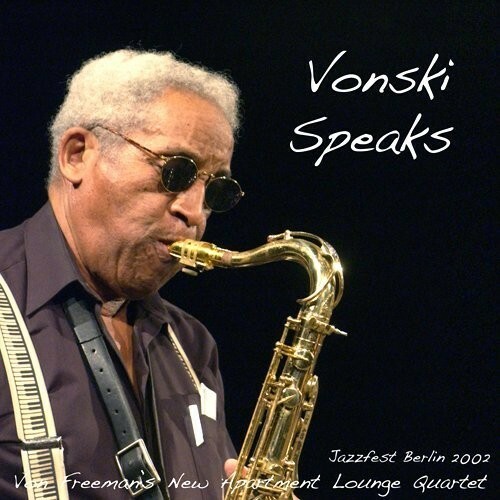 Earlier this year I wrote about the weekly gig Chicago tenor saxophone legend Von Freeman has been hosting for decades at the New Apartment Lounge, and in that piece I discussed his recent album Vonski Speaks (Nessa), a killer live date recorded at the Berlin Jazz Festival in 2002. Unbelievably, it was the first album to feature his sturdy, ultra-dependable working quartet all the way through. Today I reviewed the album for NPR's All Things Considered, and by listening to the archived piece you can get a taste of the album's bluesy, soulful intensity.